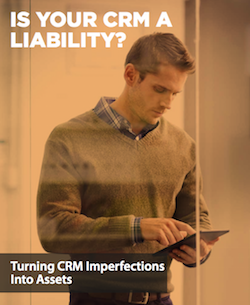 Is your CRM a liability? Before you answer too quickly with a no, just think about all the advancements that have taken place over the years regarding this technical solution. In fact, just in over the past decade there has been a dramatic shift away from on-premise systems to cloud based solutions. Before you purchase or upgrade your CRM, make sure to read and digest our latest guide to turn your CRM imperfections into assets.